Young dancers perform at Portland's annual Cinco de Mayo fiesta. For more than 30 years, the Portland Guadalajara Sister City Association (PGSCA) has hosted a Cinco de Mayo Fiesta that has become one of the largest multicultural celebrations in Oregon. The fiesta boasts three full days packed with festivities and culturally immersive programming at Tom McCall Waterfront Park. During the event, festival goers can experience the spirit of Mexico through music, arts, dance and sport. 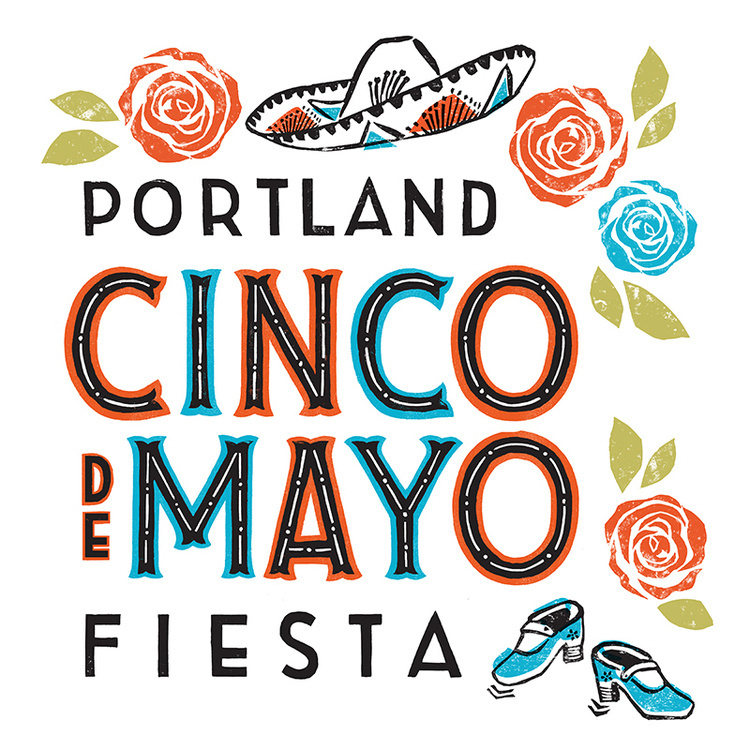 The Cinco de Mayo Fiesta began in 1983, the same year that Guadalajara, Mexico, became one of Portland’s nine international sister cities. As a direct result, a strong sense of cultural exchange continues to drive the activities and nonprofit collaborations of the festival. On opening day, school-aged children gather for the annual student assembly. A few hours later, a naturalization ceremony honors new American citizens as they take oath. Entertainment options abound for all ages and interests, including classic carnival rides, snacks, singing contests and lucha libre (Mexican wrestling). The Plaza de Ninos provides a safe, kid-oriented zone with free face painting, arts and crafts, and a play area. Mexico’s rich musical history has birthed many genres and continues to cultivate new sounds. Accordingly, Portland’s Cinco de Mayo Fiesta organizers have continually and expertly curated acts to reflect this diversity. The Cinco de Mayo Fiesta emphasizes education as well as entertainment. Previously, the Oregon’s International Reptile Rescue has offered hands-on learning by allowing visitors to interact with a variety of native Mexican animals like iguanas, tortoises, tarantulas—even a gila monster. Boxing matches have been a tradition since 2013, featuring athletes from Rip City Boxing, a local nonprofit that fosters youth through the discipline and accountability of sport. Creatively inclined attendees can attend hands-on art workshops led by Mexican artists who make pottery and flute crafting accessible to all. When you’re ready to find the perfect tin milagro heart for your home, head to the fiesta’s artisan village. There, you will discover works by dozens of local and international artists and makers. Last but not least, it wouldn’t be a proper Mexican celebration without options for ample feasting! Over twenty local food and beverage stands line the waterfront, serving up churros, fried bananas and dozens of other Mexican snacks and entrees. Beer and tequila drinks are also available for adults, along with an upgraded, premier tequila tasting experience for those seeking deeper educational and cultural understanding of the spirit. And with many options for public transportation, you can feel free to safely indulge.